Instagram is gearing up for June’s Pride Month celebrations with the help of LGBTQ creatives and artists. 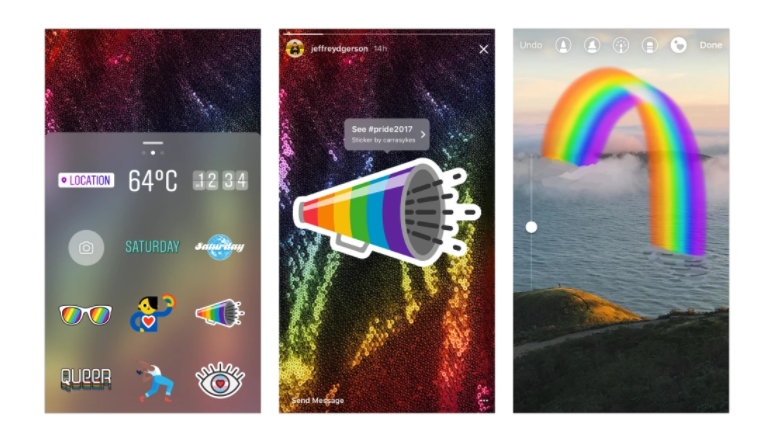 The social network announced a new set of stickers and a rainbow brush for Instagram Stories, all in celebration of Pride 2017. The six stickers were created by LGBTQ artists from around the world, and depict different portions of the community’s culture and life. Users can tap on the stickers to discover who created them, and a second tap leads to #Pride2017, the official hashtag of Pride Month. As part of its Pride campaign, Instagram will also be partnering with muralists to transform Instagrammable walls in Los Angeles, London, Madrid, Nashville and Cleveland.